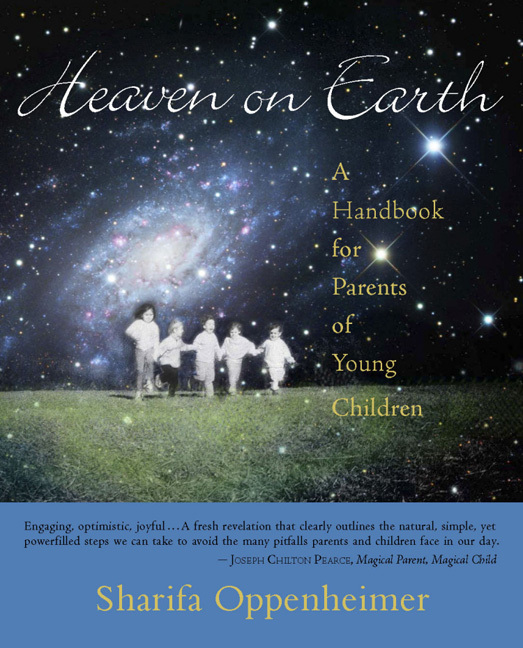 “Heaven on Earth” is more than a book – it’s a way of raising children that balances theoretical understanding of child development with practical resources and tips to build a supportive family culture based on the guiding principle of love. Explore the links below to find out more. “Heaven on Earth” and its companion “What is a Waldorf Kindergarden?” answer the pressing questions of young parents about their children’s upbringing. “The Rose Garden,” an early childhood program nestled in the Virginia mountains near Charlottesville, offers endless opportunity for outdoor exploration, the world of imaginative play, and the foundations for academic growth, amid the rhythms of nature and the seasons. Every year, the Rose Garden offers an exquisite summer camp experience in the protective arms of an old, well-loved pine forest. Why limit the fun to your children? Join Sharifa for a week of exploration and rejuvenation. The adult curriculum emphasizes current parenting questions, and the children’s curriculum emphasizes good fun and play. Sharifa offers three-month training opportunities for parents that combine intensive work and follow-up, both at the home and on-site at the Rose Garden, with loving and holistic principles, and the opportunity to put them into practice. Apprenticeship, mentoring programs, and individual consultations are available for early childhood teachers and home-school parents. Does your parent group or school group want to delve more deeply into sound parenting principles? Choose from 8 professionally developed, interactive and nurturing presentations. Find out what activities are taking place at the Rose Garden, and get the latest on upcoming special events. View photos of the many activities at the Rose Garden as the children explore the wonders of nature and celebrate the seasons. Sharifa brings a lifetime of experience to her Waldorf-based approach to helping parents build a supportive and nurturing family culture. … about “Heaven on Earth,” about the Rose Garden, about family camp, and more. Sharifa would love to answer your questions about “Heaven on Earth,” The Rose Garden, consultations, presentations, or workshops. Contact her here.